Beach Drive — Island Red Cedar Construction Ltd.
With a family centred around boats it's not surprising that this deck has a very nautical theme to it. 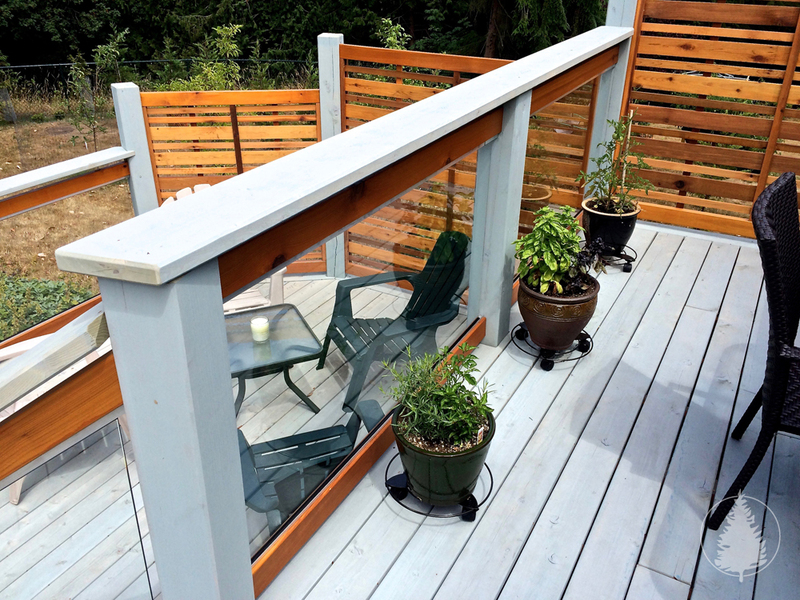 The faded blue stain compliments the natural wood finish and would easily fit in well at any marina here on the west coast. 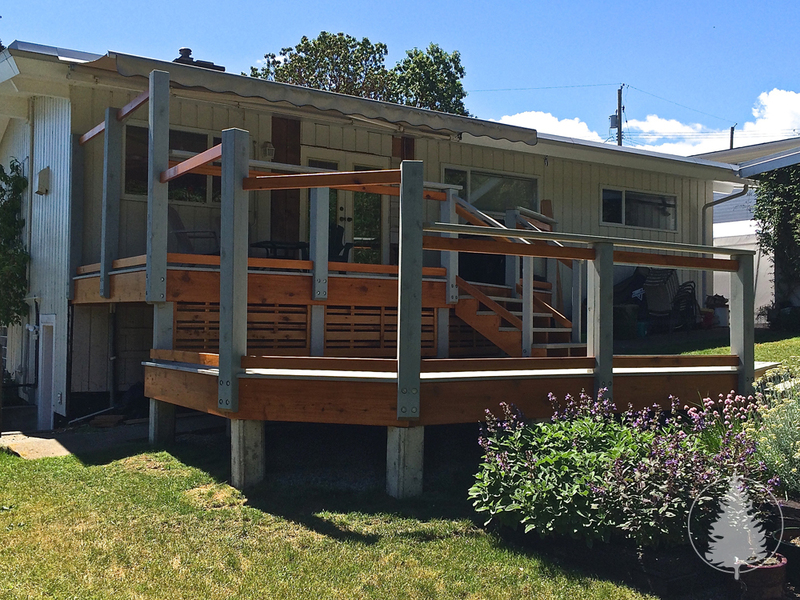 Working closely with the homeowner, we were able to take his plans and replace the existing rotted out deck with a new multi-level one that brings the backyard right up onto the deck. 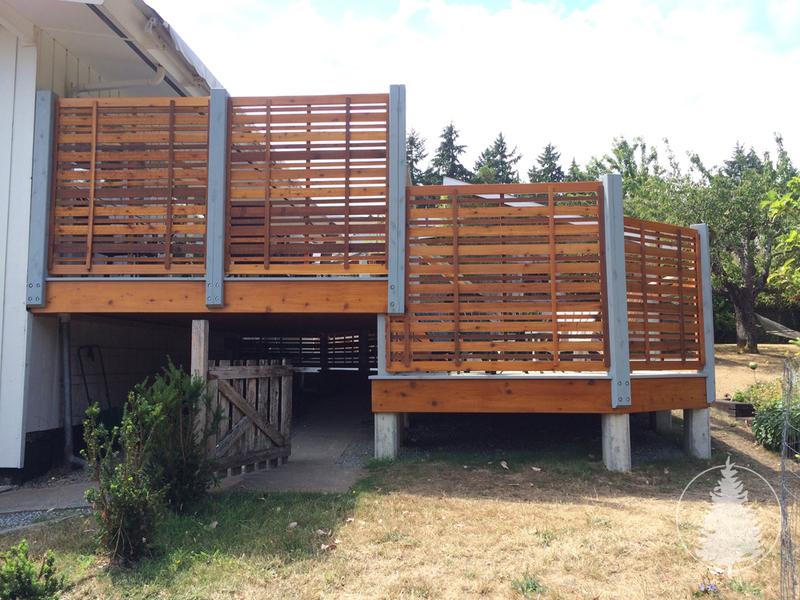 With a custom privacy screen and an overbuilt foundation and support beams, the lower section is ready for a hot tub, while the glass still allows for an unobstructed view into the back yard.